We invite you to come in and enjoy our delicious recipes made from scratch every day. It’s our mission to serve you with the highest quality food and service in Cincinnati. Like & Share us on Social Media and please post a review! We serve lunch every weekday until 2:30 pm. Your meal is prepared using only the highest quality ingredients and care while also keeping you on schedule. We look forward to serving you! Dinner is served Monday through Friday starting at 5:00 pm. We pride ourselves in our made from scratch dishes and authentic non alcoholic drinks. Our sushi is the heart of Asiana. We import only the highest quality ingredients for our masterly prepared sushi rolls. We make every piece with the attention and care your deserve. At Asiana we are proud to to say that our sushi, entrees and non alcoholic drinks are authentic to the way they are made in Thailand. We make sure to only use the highest quality and freshest fish and ingredients in all of the food we prepare. We want everyone who dines in with us or carries out to feel like they are part of our family because that is the way we think of our customers. 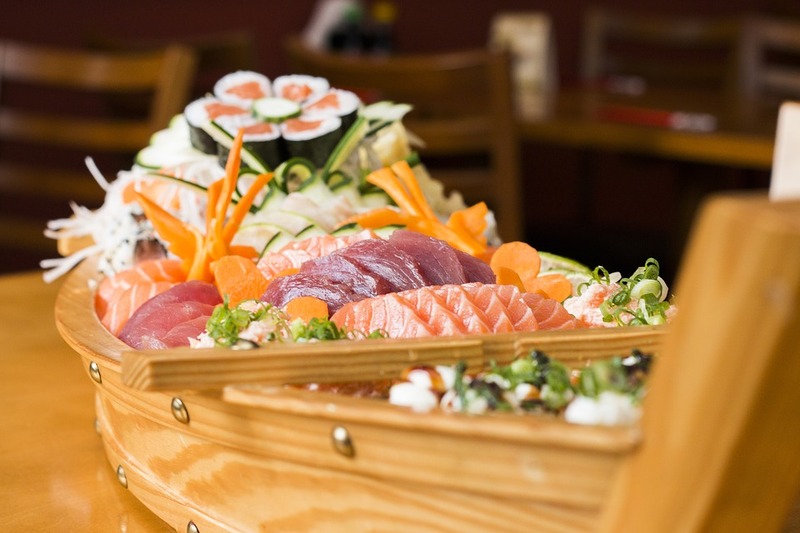 We make the commitment everyday to provide you with the best food, sushi and service in Cincinnati. We look forward to having you join us for lunch, dinner or for a casual meal. We happily accept walk-ins and carry out orders. Just remember that it’s BYOB! Call us at 513-351-0999 to place a carry out order. Lemme level with everyone here. The tea is like a campfire mixed with a tasty ice cream. The clay pot is filled with more delicious sea creatures than the Newport Aquarium. And the volcano roll explodes in your mouth with flavor. Altogether a lovely dining experience, and the staff takes excellent care of everyone. Keep up the good work Asiana Hyde Park Thai & Sushi. Great experience and food. The Thai iced tea is homemade and some of the best I've had. I had a lunch box with chicken fried rice and it was delicious and a generous portion. It is owned by a husband and wife team who were both very personable. There is a small parking lot in the back (about 10 cars). The sushi here is unreal. The owner and his wife are fantastic. It's also BYO without a corking fee which is really cool. I think my favorite part about it is how small it is- maybe 10 tables max. Makes for a great, quiet experience. You can go casual or dress up. Can't wait to go back soon! Delicious food! I had the green curry at level 3 and found it pretty spicy but extremely flavorful. I was warned that it’s “authentic Thai spicy”. Perfect lunch portion and price. I also had the mango sticky rice dessert (I forget the official name)..it’s the best that I’ve ever tried! The owner was lovely and so was our waitress. I will definitely be back!